It's a fear most of us have: turning into our parents. So, The Onion decided to channel that unease while showcasing the newest innovations in personal computing. The nine-part series "Help! I'm Turning Into My Parents!" 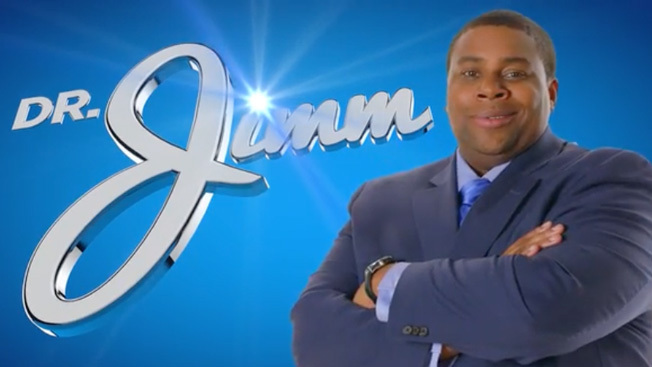 features Saturday Night Live's Kenan Thompson as self-help talk-show host Dr. Jimm. The Onion's creative services division, Onion Labs, worked with PC manufacturers Dell, HP, Intel, Lenovo and Microsoft on the series, in which Dr. Jimm helps his guests avoid becoming the technophobes their parents turned out to be. Separately, Thompson is appearing in Fandango ads as a movie-loving character called "Miles Mouvay" online, on TV and in theaters. The "Parents" series, The Onion's first branded partnership under Facebook's Anthology program, will run through Dec. 15. Facebook launched Anthology—which connects advertisers with digital media brands—in April. The program uses the social network's insights and scale to deliver targeted content. "Through our Anthology partnership, Onion Labs leverages Facebook insights to create more strategic creative content for our clients," said Julie Scott, Onion Inc.'s vp of account management. "The combination of insight-driven creative and contextual targeting is already proving successful for Onion Labs, Facebook and all the partner brands involved in the campaign around educating consumers about the amazing things the next generation of PCs can do."